Kogate Clinic | Acupuncture Relief Project | Nepal from Andrew Schlabach on Vimeo. 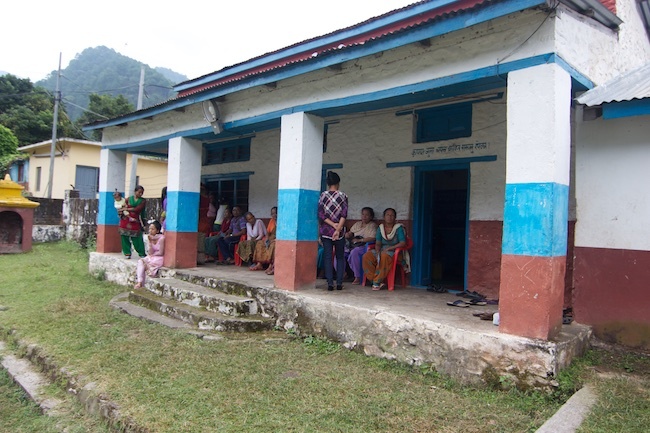 Acupuncture Relief Project takes on its most challenging clinic project in the remote region of Kogate, Nepal. Project Director Andrew Schlabach outlines the clinic's vision and obstacles. 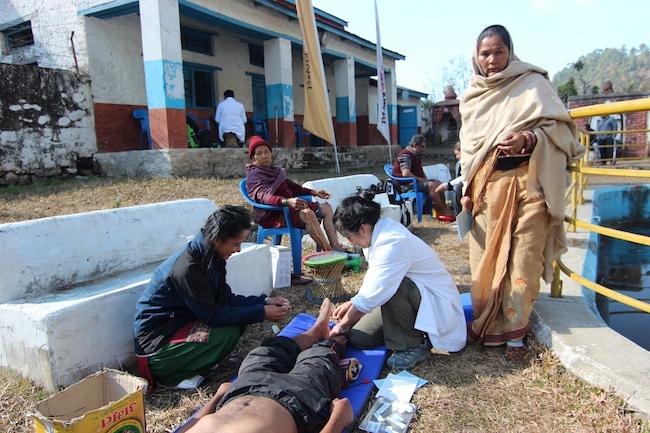 In 2013, Acupuncture Relief Project undertook a new clinic pilot project in the Kogate (Ko•Got•Tay) region of Nepal. This clinic was located about four hours south of Nepal’s capital of Kathmandu in a region of unknown population (approximately 40,000). The Kogate clinic provided an inexpensive basic healthcare solution to the people of the region. This clinic provided the only healthcare available in the region. Our volunteers transformed these few basic buildings into a primary care clinic and trained a handful of local people to be language interpreters and medical assistants. This two-year pilot taught us much about what it takes to live and work in remote areas. It also served to solidify our relationship with the District Health Authorities in Makawanpur, the district in which lies Kogate. 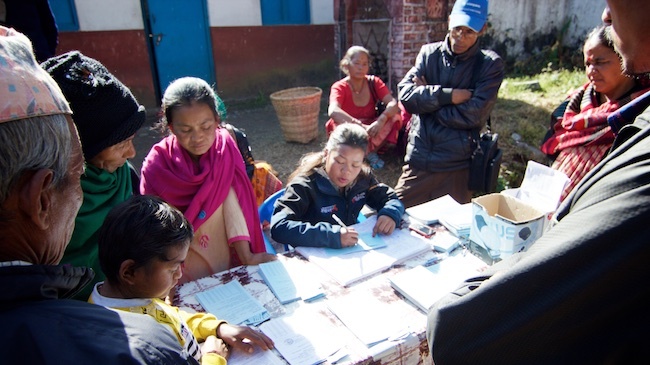 In 2015, the District Health Office asked us to relocate our clinic operations to the municipality of Bajra Barahi. While we are happy to be working in this new region, we will miss our friends in this quiet mountain village. The town of Bajrabarahi is located about three hours southwest of Kathmandu. 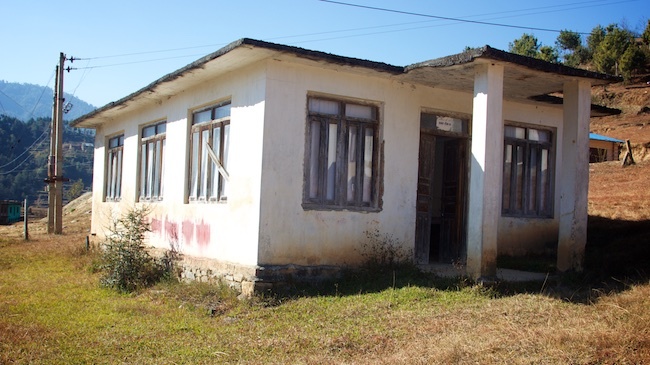 In early 2015, Acupuncture Relief Project was offered a small abandoned building (above) and was asked by the District Health Office in Makawanpur to join them in a joint clinic venture to create Nepal's first integrated health model for rural areas. 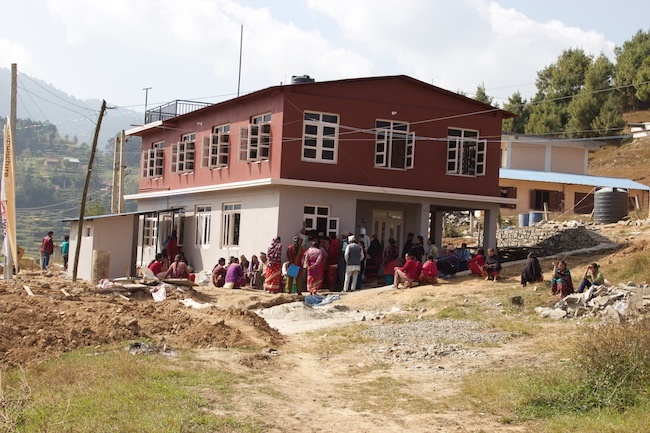 The Gorkha earthquake in March of 2015 severely damaged this building, requiring us to spend much of the summer renovating and rebuilding, as well as adding a second floor. The first floor of the building serves as the clinic, while the second floor offers dormitory-style housing to our practitioners. We were able to open the clinic to patients in November 2015 (below). This clinic serves a catchment area of over 100,000 people and stands beside the government health post. We have begun our journey to reform the delivery of primary care in this region through cooperation and education of local people and healthcare workers. 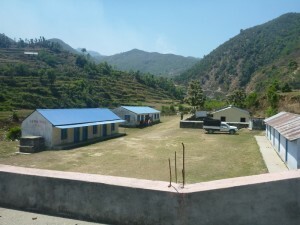 This facility also serves as a training facility for students studying acupuncture and rural health at the Rural Health Education and Service Center (RHESC) in Kathmandu. Our goal is to have year-round operation at this facility by Nepali-born practitioners by the year 2020. 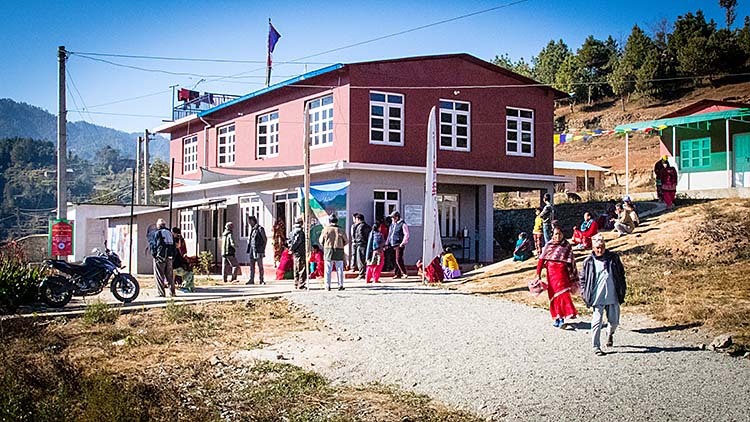 In 2013, at the same time as the Kogate pilot project began, ARP opened a satellite clinic in Bhimphedi, a small village located three hours south of Kathmandu between Kathmandu and the city of Hetauda. The Village Development Committee offered us the use of a small community building in the center of town to be used as our clinic. This clinic, still in operation today, is located in the same district as the Kogate clinic. Located about 3,000 feet lower in elevation than Kogate, the slightly drier, warmer climate allows us to provide treatments outside in the warming sunlight during the winter months. Many patients access our services from distant villages via local buses that arrive each morning. News of our ability to affectively treat post-stroke sequela has traveled throughout the region attracting patients from as far away as the Nepal-India border. The clinic’s strategic location along a main road facilitates access from many rural areas, allowing us the opportunity to continue to serve the Makawanpur population of approximately 40,000. Since inception, Acupuncture Relief Project volunteers have provided over 25,000 primary care visits at this clinic.